Firstly, imagine being asked by Alexa Chung to design her clothing brand identity - dreamy! Designed by Studio Frith, one of our long-standing favourite agencies who are obviously well known for their work with Frieze Art Fair. 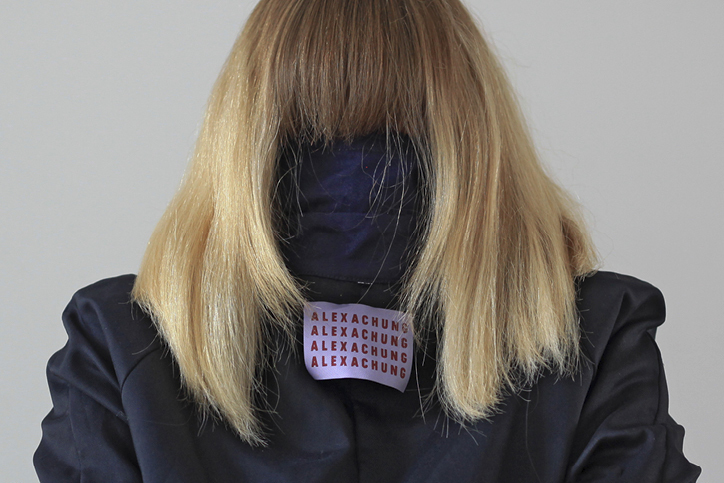 Alexa Chung's new identity is a cute but strong, typographically-led brand. The initial mark is a capital A merging with an upside-down C to create the brand initials. We think the beige and brown colours used throughout the brand give it a nostalgic feel and a muted tone. The weird but wonderful shoot by photographer Jon Gorrigan continues to give this quirky brand a fun-loving feel. The art-direction shows models with their jeans on back to front and jackets on inside-out - showing off the brand ident to it's full! A fun, tongue-in-cheek brand identity which shows Alexa Chung's personality throughout. Love it!